A queen room with all the necessities. All photos courtesy of Arlo Soho. 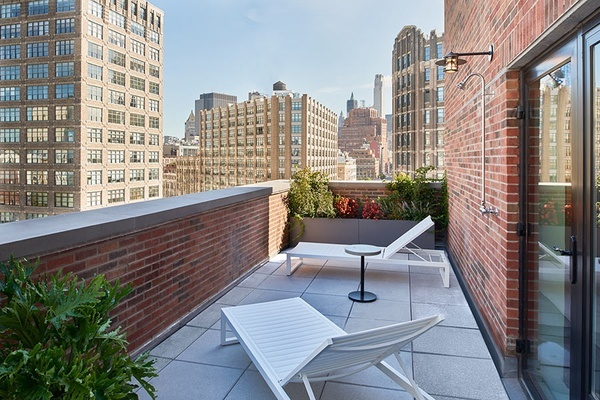 What it lacks in space, Arlo Soho makes up for with good design and thoughtful details. 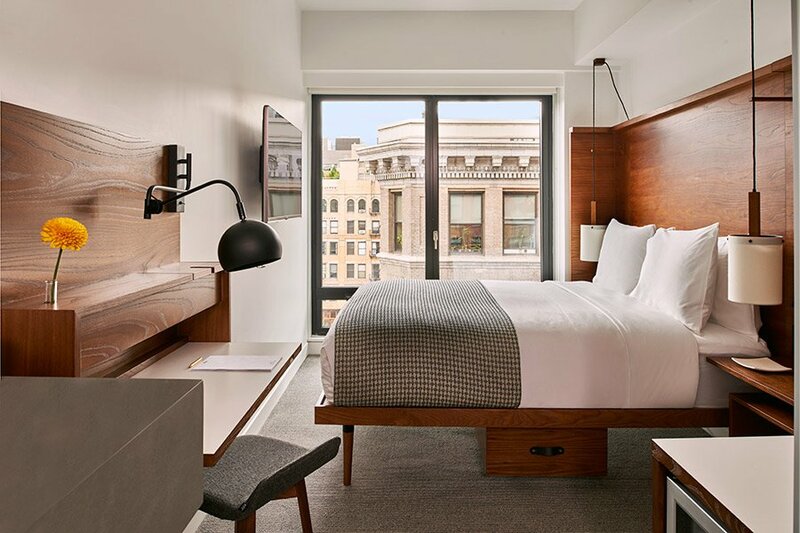 Thanks to superior furnishings, smart technology, and inclusive public spaces, the AvroKO-designed micro hotel, along with sister property Arlo Nomad, feels like a game changer in the inexpensive (for NYC) category. Young and hip, but also business friendly. 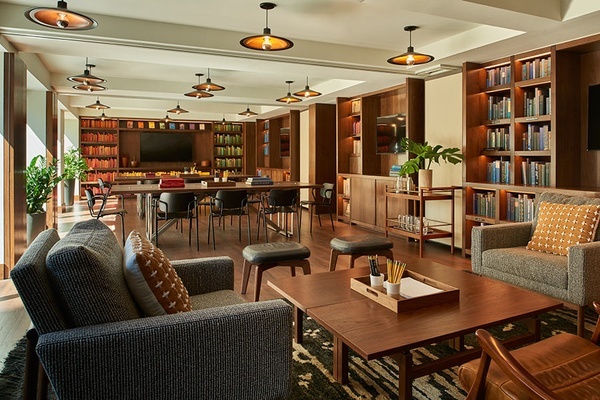 Spacious and varied common spaces balance out the smaller guest rooms, and offer plenty of places for business meetings, connecting with other guests, and unwinding after a long day. Design-conscious digital nomads on a budget. 325 compact guest rooms make smart use of limited space with multi-functional modern furniture and built-in storage compartments. Warm walnut furnishings, rain showers, and Blind Barber bath products add a luxurious feel. Complimentary WiFi, valet parking, bikes from Priority Bicycles, and an abundance of public spaces, including a library and courtyard. Harold's Meat + Three is a Southern-style restaurant that serves breafast, lunch, and dinner. 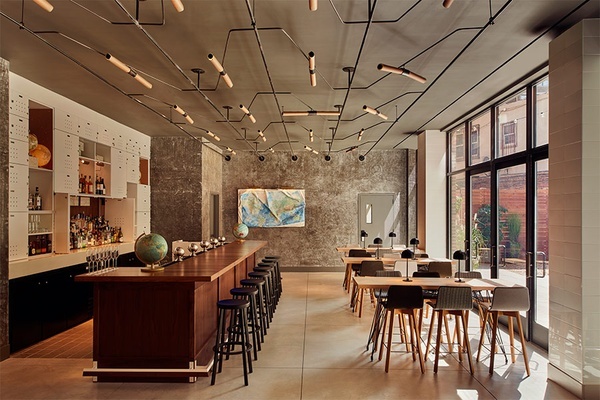 There are two bars, one on the rooftop overlooking the Hudson River, the other in the lobby. A modern bodega stocked with locally made snacks and goods is where guests can get their mini-bar fill. Tech-savvy travelers will appreciate details like bedside USB charging stations, Bluetooth radios, a nicely designed mobile app, and 24-hour virtual concierge. To keep room prices down, the hotel takes a self-service approach to many things, including that virtual concierge service. In-room mini-bars are empty. That's what the lobby bodega is for. 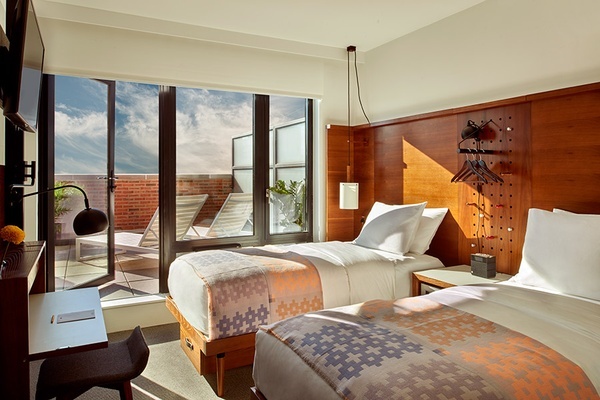 The hotel is located on the borders of SoHo and Tribeca, two fashion-forward neighborhoods. 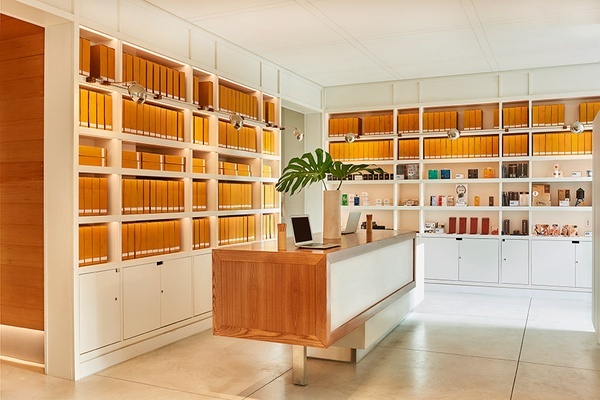 Guest can shop their way through SoHo: Opening Ceremony is the city's indisputable fashion clubhouse; Michele Varian sells fine jewelry, handmade pillows, and other home goods; The Apartment by the Line is a minimalist's dream wardrobe and home come to life. 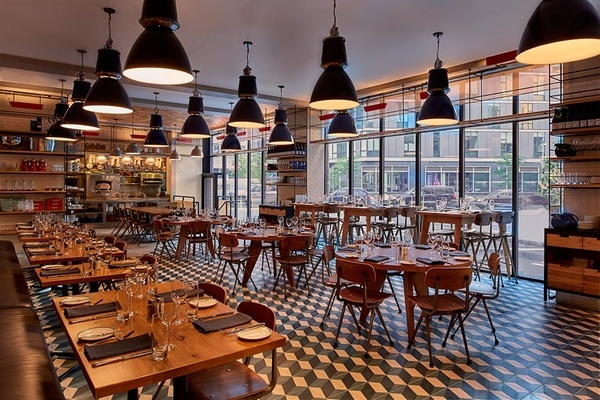 When the need to refuel strikes, notable restaurants nearby include Giorgione, Balthazar, Blue Ribbon Brasserie, and Miss Lily's. For a little R&R, head to Aire Ancient Baths, a stunning subterranean spa with candlelit pools and a steam room in Tribeca, for a hot Caldarium and a cold plunge. Tell Us, Babu Ji Where Do You Eat in NYC?